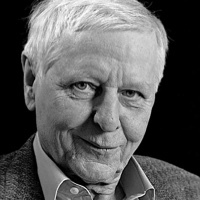 Hans Magnus Enzensberger, considered Germany’s most important living poet, is also a highly regarded essayist, journalist, dramatist, editor, publisher, and translator. Born in 1929 in Bavaria, he was educated in German universities and also the Sorbonne in Paris. His many awards include the Nuremberg Cultural Prize and the Pasolini Prize. The most recent volume of his poems to be translated (by Michael Hamburger) into English is Kiosk, published in 1997.